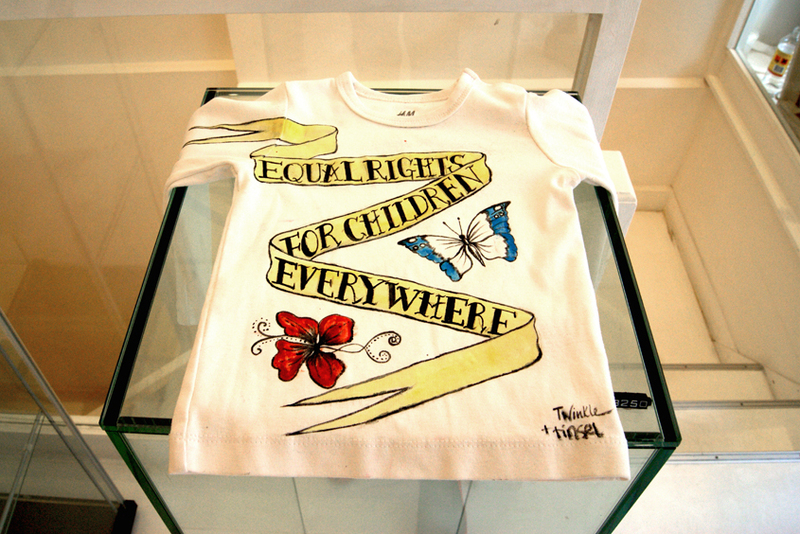 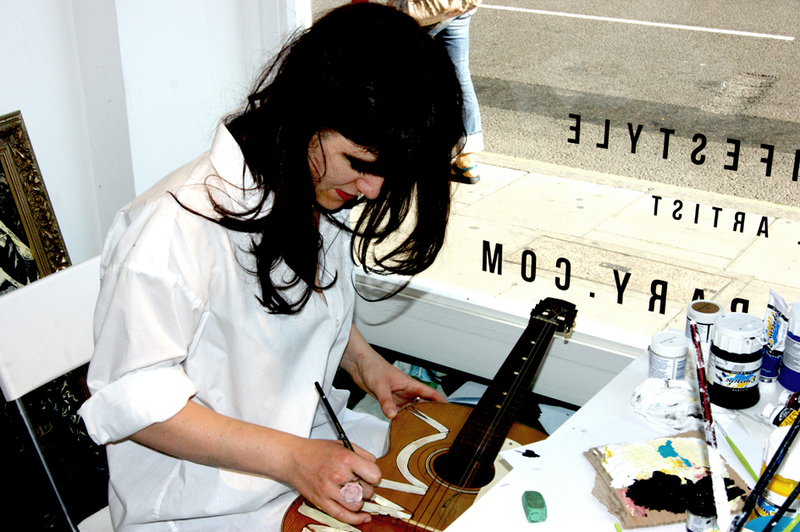 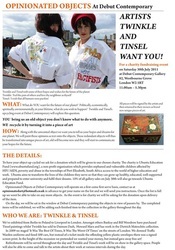 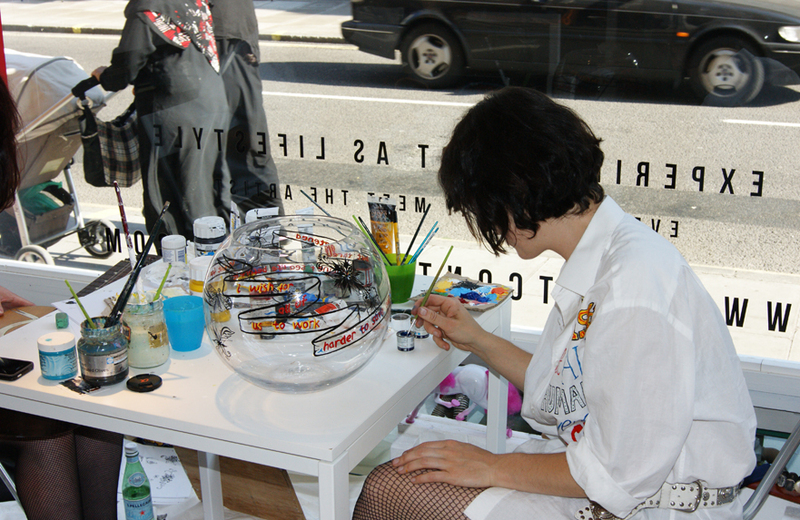 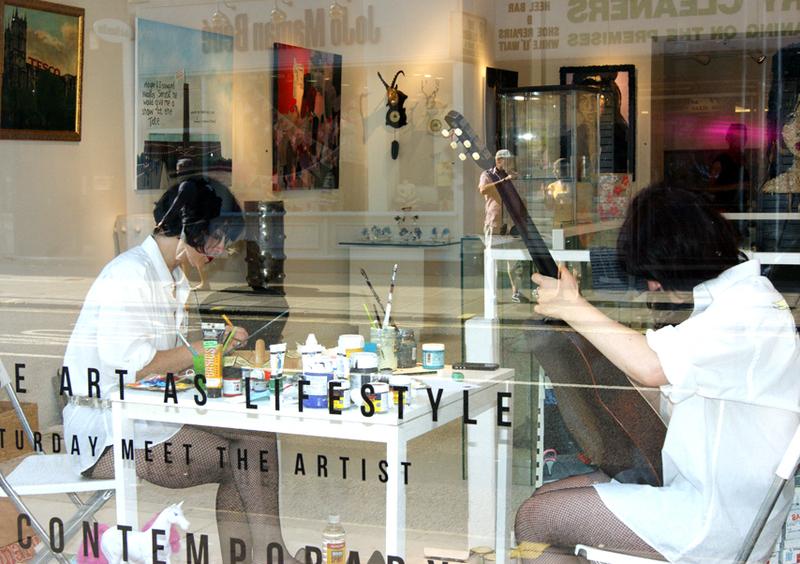 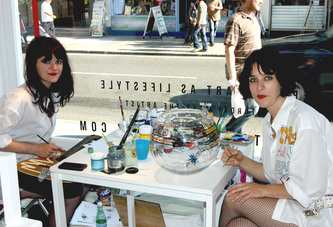 In 2011 Twinkle and Tinsel staged their event Trash to Treasure in the window of the gallery Debut Contemporary in West London. 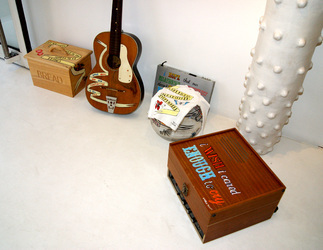 The aim of the event was to turn people's trash to treasure. 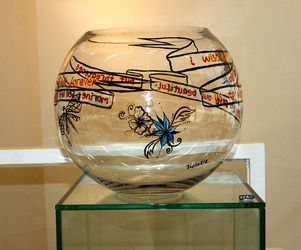 People were asked to bring an object they wanted to throw away along to the gallery, and also bring a sentence which they felt described a hope for their future. 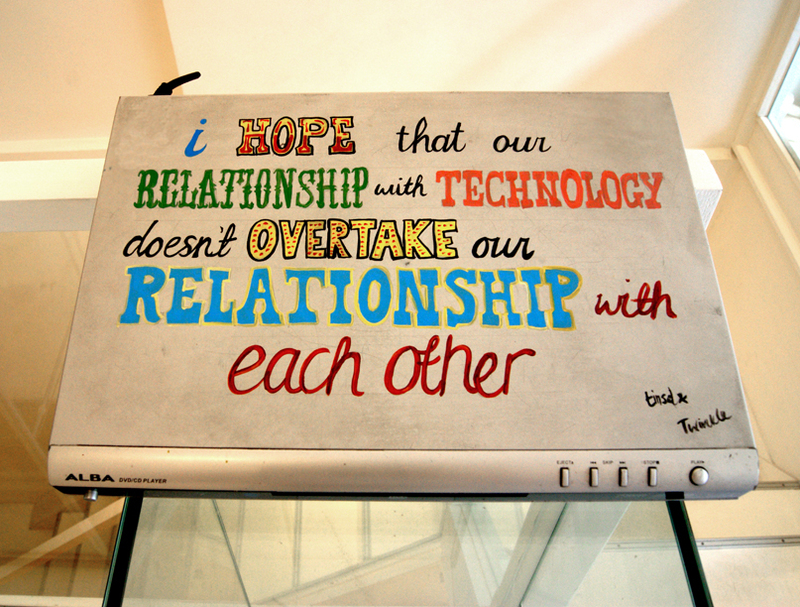 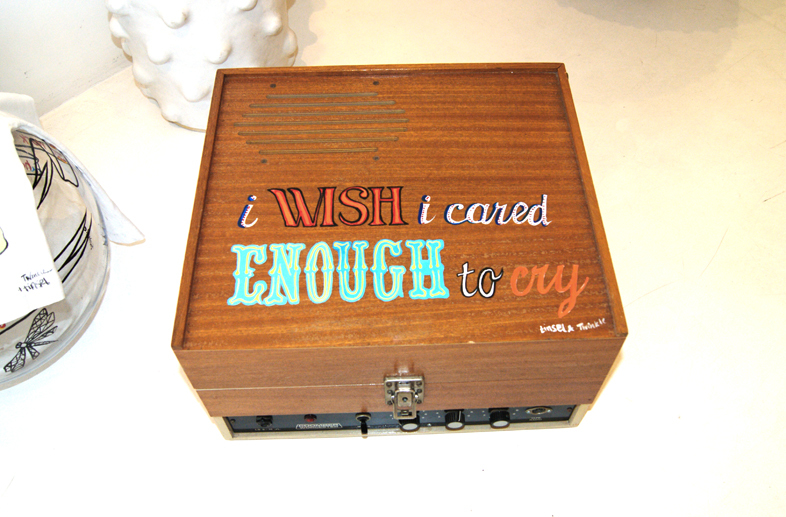 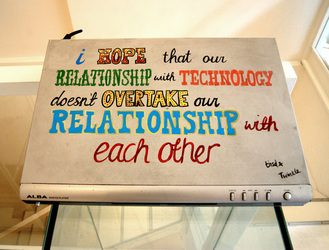 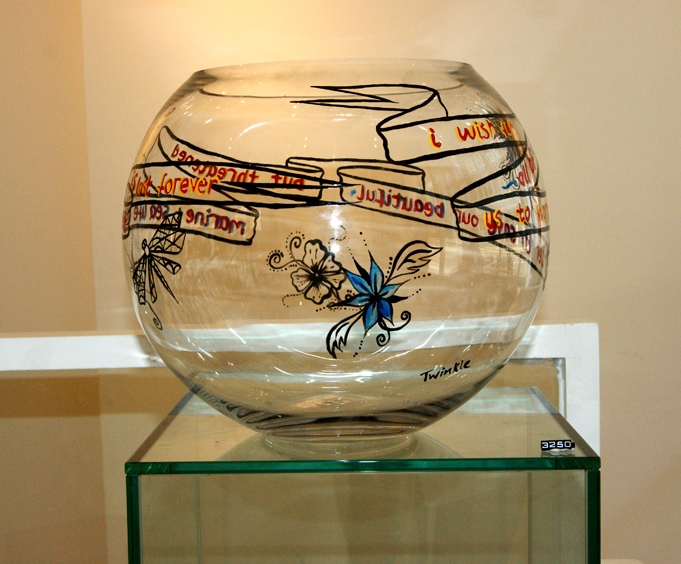 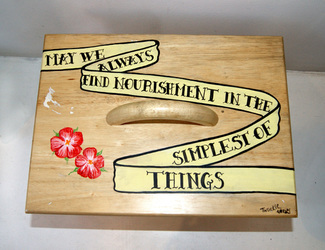 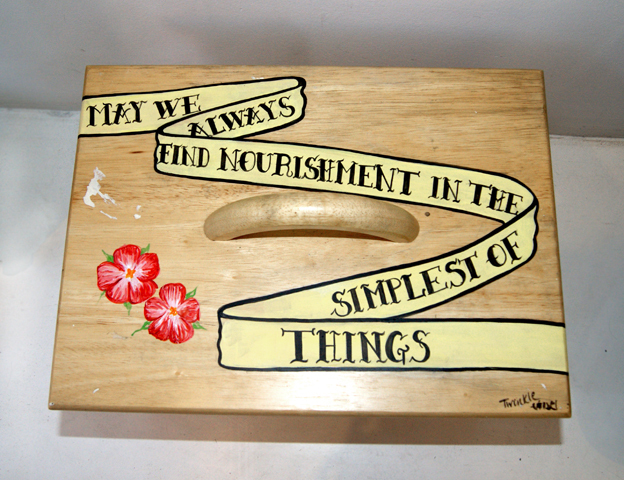 The sentence was then hand painted by Twinkle and Tinsel onto the object, turning the rubbish into a piece of art. A donation was asked for along with each object handed in which was then given to the children's charity The Ubuntu Fund. At the end of the event the owners of the objects were able to take them home. 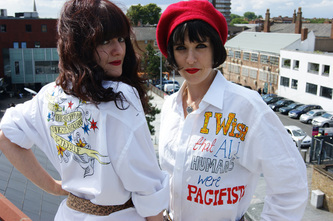 Here are images from the day, including photos of Twinkle and Tinsels hand painted outfits with their own hopes emblazoned across them. You can find press and interviews on the event here.